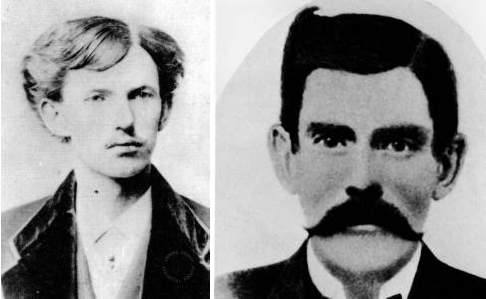 John Henry “Doc” Holliday (1851 – 1887) was an American dentist gambler, shooter, and famous for his friendship with Wyatt Earp. At the age of 20, Holliday earned a degree in dentistry from the Pennsylvania College of Dental Surgery. He started in Atlanta, Georgia but he was soon diagnosed with tuberculosis. He transmitted this diseaes to all his patient. By then, doctors weren’t aware of the fact that tuberculosis was contagious. His gambling lead him to Texas where he saved Wyatt Earp’s life and they became friends. On October 26, 1881, after many months of threats and attacks on his character, Holliday was deputized by Virgil Earp. He was a Deputy U.S. Marshal during and after the Gunfight at the O.K. Corral. He died of tuberculosis at age 36 in his bed.